Want to see the beauties of Bulgaria, visit places that you will remember all your life, and learn new things about our beautiful homeland? In the summer we will offer you unforgettable trips and excursions, hikes in Pirin, horseback riding in Rila, mountain biking, etc. For those, for whom the adrenaline and adventure is a way of life, we will offer some extreme sports such as: rafting, ATV, safari, shooting and Paintball. We'll bring you to the ever lasting monasteries, to the preserved ruins of old castles and we'll show you numerous caves. To make your vacation pleasant, we will organize you trips to Rozhen and Rila Monastery, Melnik, Dancing Bears Park in Belica, Kresna Village Trigrad (Devil's Throat), the village of Jagodina, Batak, the stronghold Tsepina, cave Snow White, Perperikon, Village Kovatchevitsa, Village Leshten and other. Our mountain hikes include destinations such as Vihren hut, Okoto lake, Muratovo lake, Damyanitsa hut, Koncheto and many other destinations in Pirin. Unter the instructions of experienced instructors we will offer you off-road emotions with atvs on marked routes and tracks. In the winter our ski and snowboard school is at your disposal. 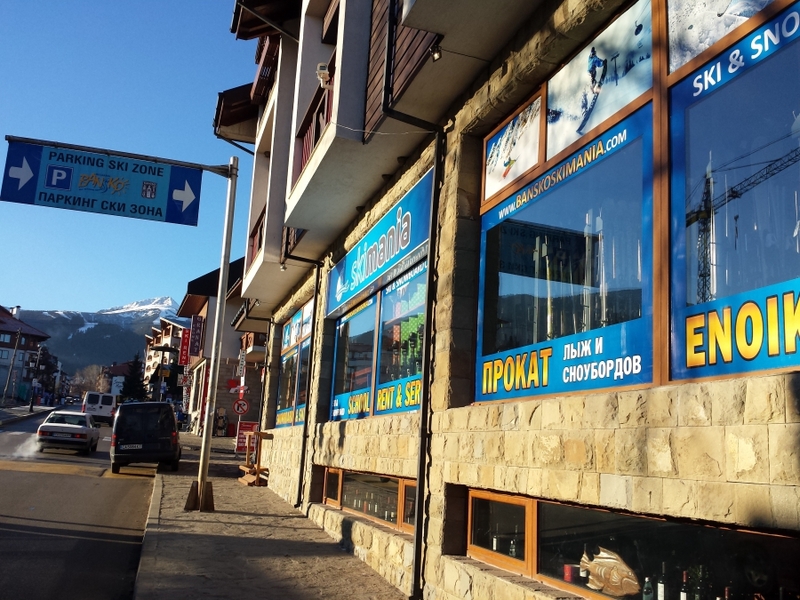 It is founded in year 2000 and is a licensed member of the Bulgarian Ski School. Our Ski School offers every day ski lessons for all ages and difficulties. Whether you are a total beginner or advanced skier, our professionally trained instructors will take care for your good time in Bansko Ski Resort. The lessons are organized with a maximum of 8 in a ski class, as we feel this is a safe and professional maximum (however classes usually go out with less than this). All our ski teachers are internationally qualified instructors with very good language skills. The Snowboard School offers instruction and coaching at all levels from beginner to freestyle. Whatever your standard or ability, we can guarantee to improve your skills as well we ensure you to have a great time. The Snowboard School operates with a maximum of 8 in a snowboard class, as we feel this is a safe and professional maximum. Our Instructors are highly qualified and experienced professionals, speaking english, german, russian or greek languages. With their assistance and advices you will enjoy conventional or carving techniques, regardless of your skiing skills, no matter if you are a begginer or advanced skier. Another possibility is to get private lessons, these can be used to maximise your potential by tailoring the lesson to your own individual needs and goals. Benefit directly from personalised feedback giving you greater confidence and the ability to get down more challenging terrain. Our wardrobe consists of more than 450 full ski and snowboard equipments from the worldwide leading makers, suited to fit any age or size. It is constantly renovated with the latest world innovations and tendencies.